Vibrational Medicine is not very well known (at the moment!) 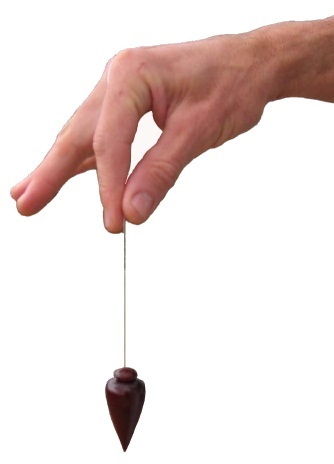 but as a practitioner I use a pendulum to identify problems within the body by means of dowsing. Once identified I then use Homeopathic and Energy remedies, dowsed from nature, to treat the root cause of the problem (which often is not the presenting symptoms). The remedies are made up in small vials of organic sesame seed oil which are then placed on the skin over Acupuncture points on the Meridians for a specified amount of time. The results from this process are often remarkable as the body heals itself naturally in response to these remedies. The approach is very logical - I ask what is the priority problem to treat, where in the body is the priority to treat (often this questioning continues down into cell level) I then ask when was it last 100% and what caused it to move away from being 100% and once I have this information I then create a remedy tailored to the issue that has presented itself. The energy from these remedies encourages the cells to overcome the negative aspects of the problem allowing a return to normal functioning. Sometimes this is all the body needs however, at other times it is just the start of a process often described as peeling away the layers of an onion to get to the heart of the matter. The initial session normally takes around 1½ hours as it includes taking a medical history, it is therefore very useful if you could jot down a few notes before you arrive - please include any medication, operations and family medical history. A Medical Information Form can be downloaded by clicking here. Subsequent sessions are normally 45mins - 1hr long. The number of sessions required can obviously vary from person to person and is dependent on the problem and often the length of time any problem has been in place but usually only a couple of sessions are required. To arrange a consultation or if you have any questions please contact me by email or phone.